Must-Buys for your Easter Basket! You are here: Home / Giveaways / Must-Buys for your Easter Basket! Easter is almost here! What is the holiday without chocolate bunnies? My son is a teenager but I still plan to make him a basket and it has to have a chocolate bunny from R.M. Palmer! 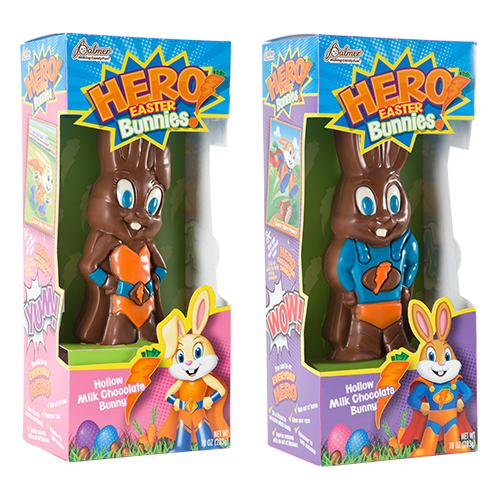 These are just perfect for your boy or girl hero! I love that there is a boy and a girl one! My favorites this year are the chocolate bunnies from R.M. Palmer! 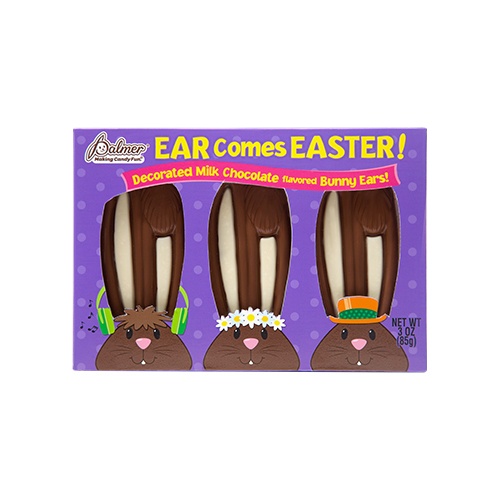 But, the EAR comes Easter! Decorated Milk Chocolate flavored bunny Ears are also a new favorite of mine! They are super cute and tasty too! R.M. 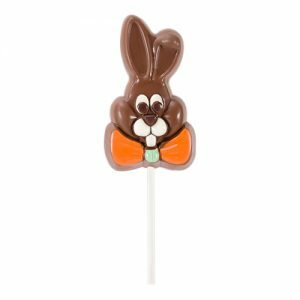 Palmer also has some cute chocolate carrots and chocolate bunnies on a stick? Yes. please! 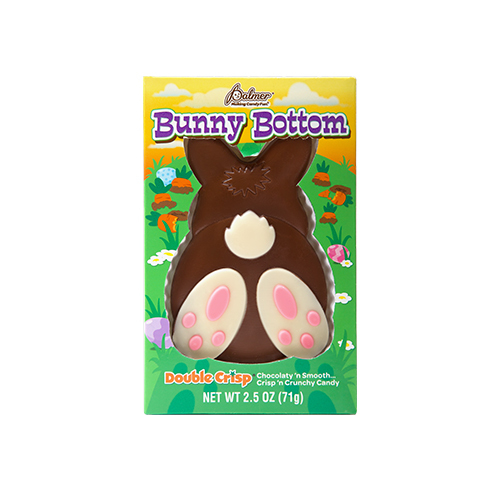 I’m also a big fan of the Double Crisp Chocolate Bunny Bottom! This is something that will make you say AWWWWW! Check out all their Easter candy here! 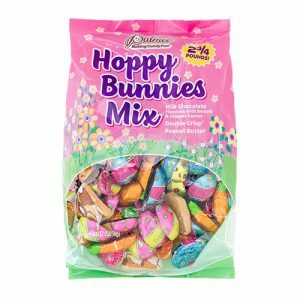 I love this Mix of candy and it is perfect for filling those plastic eggs! 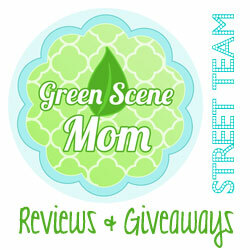 We have teamed up for a giveaway with our friends at R.M. Palmer! Would you like to win a candy prize? If so, check out their website and take a look at their Facebook page too! Tell us your favorite chocolate candy from R.M. Palmer! 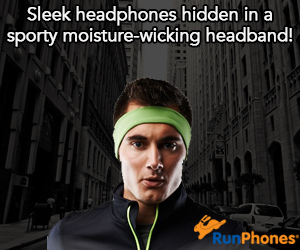 One winner will randomly be selected! Deadline to enter is April 18th, 2019. U.S. Residents only. *Candy will not arrive by Easter. Self Disclosure: I received free delicious chocolate candy to facilitate this post. Photos were also provided. The Cookie and Cream eggs sound yummy! My favorite from their Easter collection is the Merlin’s white chocolate rabbit. I also like the pretzel Easter eggs.